It is predicted that South Korea’s small and medium company’s battery technology will be used by Apple for its self-driving electric vehicle that is being developed as a top secret. Because it is a technology that was never seen before, industries are interested whether or not a South Korean company will play a role of a secret weapon for Apple’s future innovative vehicle technology. According to a battery industry on the 8th, Apple recently signed off on a NDA (Non-Disclosure Agreement) with a South Korean battery developer to co-develop batteries for ‘Protect Titan (tentative name)’. They have been carrying out administrative work in South Korea and the U.S. starting from early this year as an employee from Apple’s department that is related to development of batteries for electric vehicles has been visiting this South Korean company. Industries think that this Korean company won’t be the sole company that will be in charge of Apple’s batteries. However it is heard that Apple has been approaching innovativeness even though they started off with totally different concepts from design, function, and performance perspective from the start. 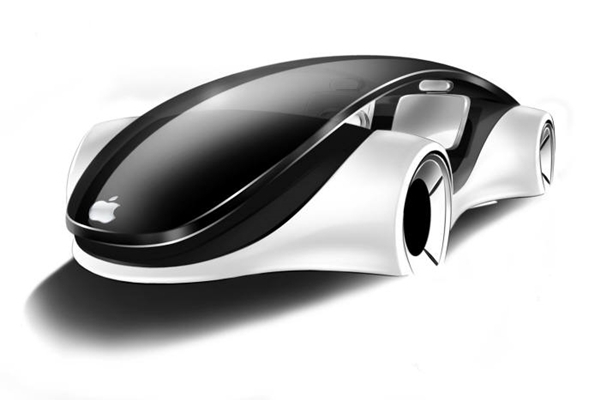 Industries believe that Apple is focusing on securing creative battery technology that will only exist in Apple’s self-driving vehicles. This Korean battery developer, which is comprised of 20 or so employees who are expert technologists in batteries, holds international patented technologies for hollow batteries. These batteries are cylindrical lithium-ion secondary batteries that have thickness of 2 fingers and they are different from other batteries that their centers are hollow. Apple did not choose standardized circular or rectangular batteries that are widely used for current electric vehicles, but it is planning to develop its own independent batteries for electric vehicles based on this Korean company’s hollow battery technology. “Because we made a NDA with Apple, we cannot discuss any information regarding this project.” said a high-ranking official from this Korean company. Apple’s Project Titan was heard by industries in early 2015. Apple newly appointed Bob Mansfield, who had led developments of Macbook Air, iMac, and iPad, as the man who will oversee this project and it is heard that Apple is carrying out its project with other professional employees that it hired from Tesla, Ford, and BMW as well as Chris Porritt who used to be the Tesla’s Vice-President and in charge of vehicle engineering.